BTI taps into vast research and experience to conduct our annual study of the Litigation market. BTI combines a powerful, comprehensive analysis of client spending, goals, priorities and needs with unbiased, direct feedback from clients on more than 200 individual law firms. 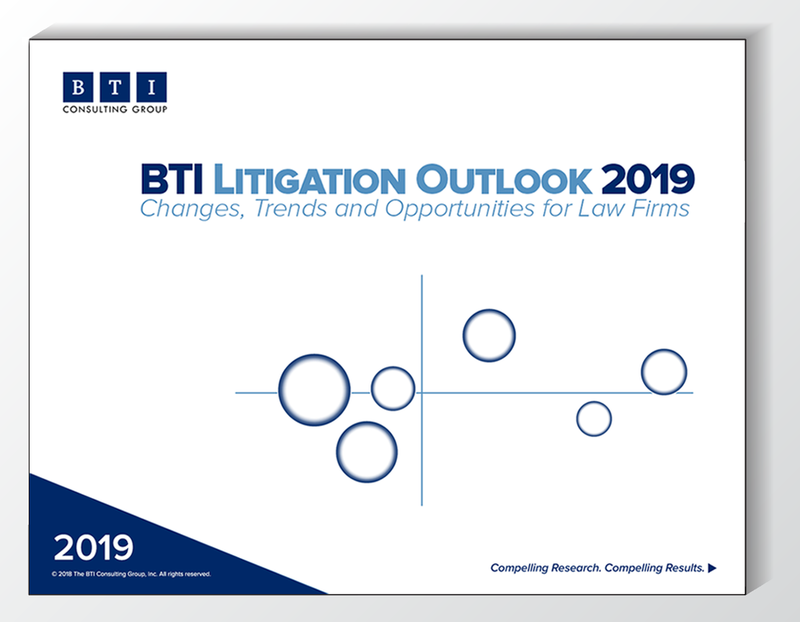 BTI Litigation Outlook 2019 is based solely on in-depth telephone interviews with leading legal decision makers. 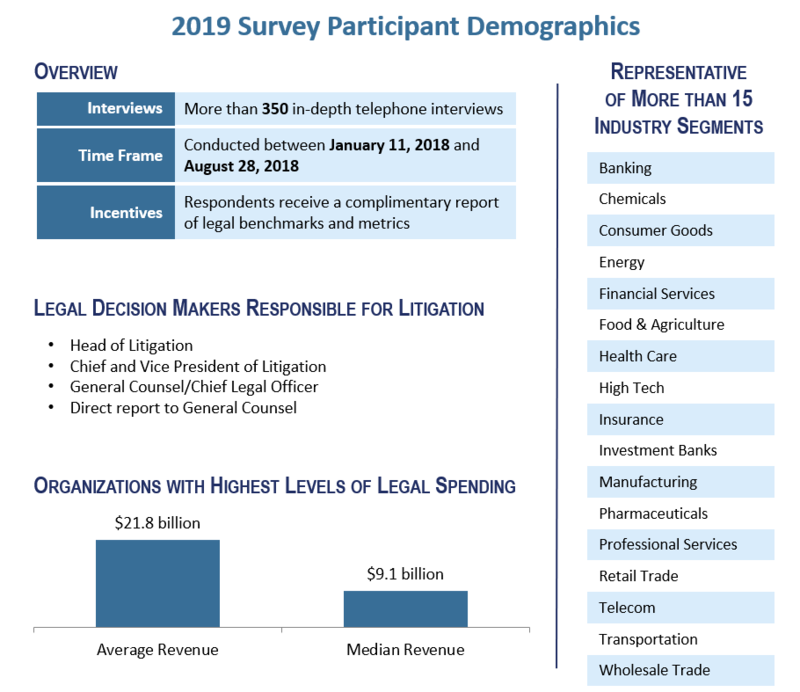 This comprehensive analysis trends data from more than 5,100 corporate counsel client interviews conducted over the span of 19 years.